SPANISH LOOKOUT, Cayo District, Mon. 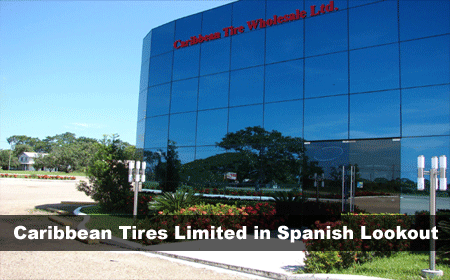 Aug. 14, 2017-In 2005, Caribbean Tires Limited in Spanish Lookout opened its offices for business for the first time. Since then, the company has not been subject to news coverage until over the weekend when burglars made off with over $50,000 in cash and checks from the company. According to police, David Reimer, 54, reported that between the hours of 6:15 p.m. on Friday and 7:00 a.m. on Saturday, someone broke into the establishment and gained access to a lower flat of the building where an iron safe was kept. The culprit or culprits then wrenched off the door of the safe and helped themselves to US$20,000, BZ$5,000, along with a string of checks valued at $13,000 and another undisclosed amount of cash. Today, Amandala contacted Reimer, who indicated that he suspected the burglary was an inside job. According to him, the perpetrator gained access to the building via a door of the warehouse building. Reimer further revealed that the suspect was caught on surveillance cameras, and the footage has since been handed over to Cayo police for investigation. According to him, this is the first time the company experienced an ordeal such as this. Police have since recovered the money stolen from the safe and have one person detained. They have confirmed that he was an employee at Caribbean Tires.